We would like to welcome you to our practice. We are a chiropractic office, and much more. 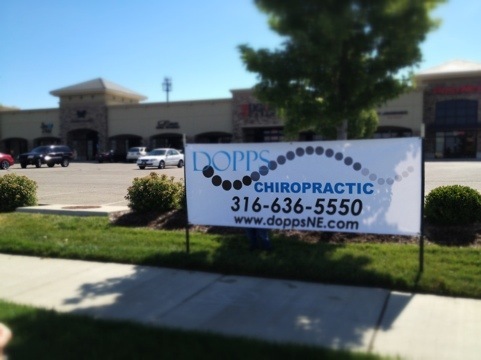 Located at 21st and Greenwich Rd, in northeast Wichita, Dopps Chiropractic is now available to serve this newly expanding area of town. With the ability to treat a variety of conditions of the spine, our skilled and highly passionate doctors specialize in a wholistic approach to your health. We treat everything from pregnant mothers and new born babies to top level athletes and those just getting back in shape. Chronic pain or new injuries, the pain stops at Dopps! Learn more about our doctors and our clinic as we offer a new location to better serve the Wichita, Andover and surrounding community. Our estimated opening is set for July 1st, 2012. Call today to reserve your appointment and start living and feeling better!